Amazon EC2 (Amazon Elastic Computer Cloud) is part Amazon Web Services (AWS) which allow you to rent virtual servers and storages to host you websites in cloud. The service is elastic and scalable so you actually pay for what you use. EC2 service can be used as a VPS (Virtual Private Server) or as an extension to your current hosting. You can store your digital products in cloud so they can be accessed in fast and secure way from different places across the globe. This service attracts many customers. With this you can easily sell your digital files (movies, photos, songs, tutorials) online without worrying about server capacity or bandwidth with high SLA. You can also establish a large online store selling physical goods. 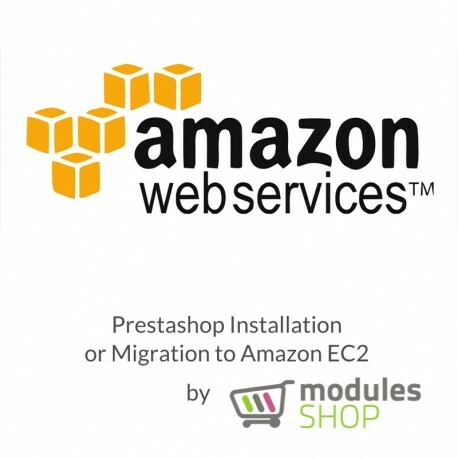 Basic EC2 installation and configuration for use with Prestashop. Amazon EC2 can grow along with your online business and can be integrated perfectly with Prestashop. The price of service does not include any fees which could be charged by Amazon. We also offer optional installation and configuration of Digital File Sales Manager module to sell your virtual products or to sell streaming access online. Digital File Sales Manager module brings you all the functionality needed for selling virtual products in Prestashop. Haven’t found what are you looking for? Contact us and tell us what you need!